MethoCult™ H4330 is a methylcellulose-based medium for the growth and enumeration of hematopoietic progenitor cells in colony-forming unit (CFU) assays of human bone marrow, mobilized peripheral blood, peripheral blood, and cord blood samples. This formulation contains erythropoietin (EPO), but does not contain other cytokines. It is recommended for assays of late erythroid progenitors, specifically colony-forming cell - erythroid (CFU-E), in the presence of EPO only. It is also recommended for assays of early erythroid progenitors, specifically burst-forming unit - erythroid (BFU-E), and other colony-forming cells when appropriate cytokines are added. It can also be used to assess colony-stimulating factor activity or burst-promoting activity in unknown samples. 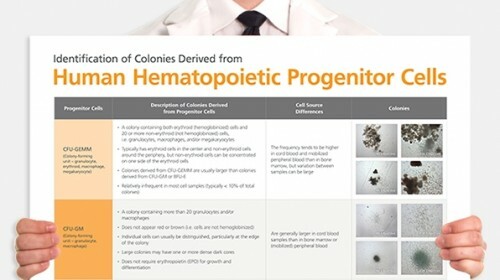 Semi-solid media (methylcellulose-based MethoCult™ and collagen-based MegaCult™-C) allow the clonal progeny of a single progenitor cell to remain spatially isolated from other colonies within a culture, so they may be separately identified and counted. Methylcellulose permits better growth of erythroid colonies than other types of semi-solid support systems (eg. agar) while allowing optimal myeloid colony formation. When appropriate cytokines are present, committed progenitor cells of both erythroid and granulocyte/macrophage lineages (CFU-GM, CFU-G, CFU-M) as well as multi-potential progenitor cells (CFU-GEMM), can be assayed simultaneously in the same culture dish. Is it necessary to add antibiotics to the media? No, aseptic technique should be sufficient to maintain sterile cultures. However, antibiotics (eg. Penicillin/Streptomycin) or anti-fungals (eg. Amphotericin B) may be added to the methylcellulose medium if desired. Is there anything I can do if my cultures appear contaminated? No, once contamination is visible, it is not possible to rescue the cultures by the addition of antibiotics. Bacteria and yeast inhibit colony formation by depleting nutrients or by releasing toxic substances. Why can't I use a pipette to dispense methylcellulose-based media? 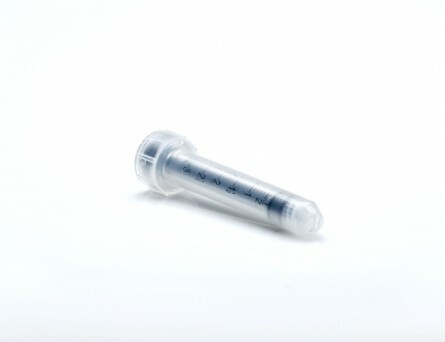 Methylcellulose is a viscous solution that cannot be accurately dispensed using a pipette due to adherence of the medium to the walls of the pipette tip. 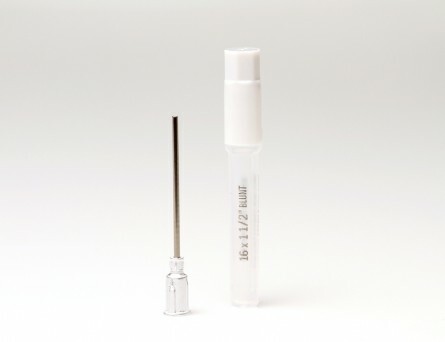 Blunt-End, 16 Gauge needles (Catalog #28110), in combination with 3 cc Syringes (Catalog #28230) are recommended for accurate dispensing of MethoCult™. Can I 'pluck' the colonies for individual analysis? Yes, colonies can be 'plucked' using a pipette with 200 µL sterile pipette tips or using a glass Pasteur pipette with an elongated tip. Individual colonies should be placed in a volume of 25 - 50 µL of medium, and diluted into suitable culture medium for further culture or analysis. Why are low adherence dishes so important? Adherent cells such as fibroblasts can cause inhibition of colony growth and obscure visualization of colonies. 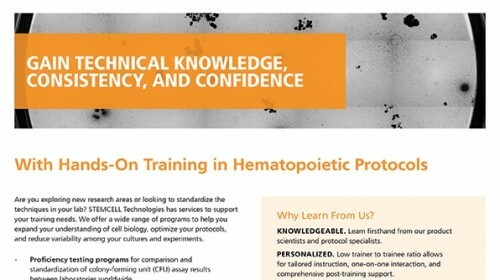 Can MethoCult™ products be used for lymphoid progenitor CFU assays? Human lymphoid progenitors (B, NK and T) seem to require stromal support for growth therefore cannot be grown in MethoCult™. Mouse pre-B clonogenic progenitors can be grown in MethoCult™ M3630 (Catalog #03630). Is it possible to set up CFU assays in a 24-well plate? Yes, as long as a plating concentration optimized for the smaller surface area of a well in a 24-well plate (1.9 cm2 as compared to ~9.5 cm2 for a 35 mm dish) is used for these assays. The number of replicate wells required to get an accurate estimation of CFU numbers may also need to be increased. Can I stain colonies in MethoCult™ medium? 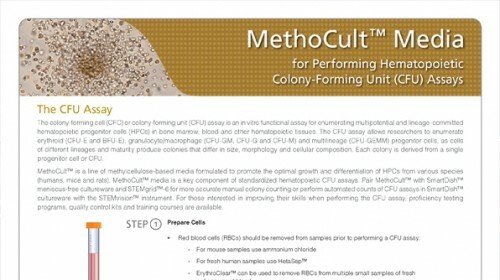 The cells in individual colonies in MethoCult™ can be stained, eg., for analysis of morphology or phenotype, after they are plucked from the dish and washed free of methylcellulose. Colonies grown in collagen-based MegaCult™-C medium can be used for immunohistochemical or enzymatic staining in situ after dehydration and fixation onto glass slides. Are there differences in colony morphology with serum-free media? Serum-containing media generally give better overall growth (colonies may appear larger) but there are no large differences in total colony numbers when CFU assays using serum-free media and serum-containing media are compared, provided that identical cytokines are present. Can MethoCult™ be made with alternate base media? Yes, this can be done as a 'custom' media order. 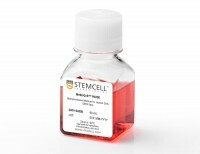 Please contact techsupport@stemcell.com for more information. 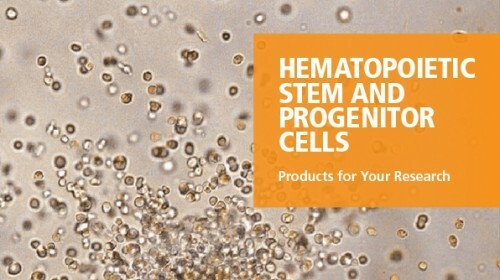 Is there a MethoCult™ formulation suitable for HPP-CFC (high proliferative potential colony forming cell)? Yes, MethoCult™ H4535 (Catalog #04535) can be used for the HPP-CFC assay as it does not contain EPO. The culture period is usually 28 days. It is not necessary to feed these cultures as growth factors in the medium are present in excess. As HPP-CFCs can be quite large, overplating can be a problem. 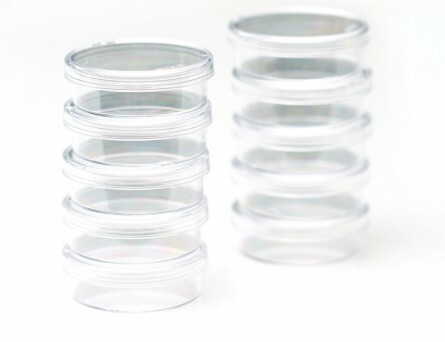 It is recommended to plate cells at two or more different concentrations. JMJD1C-mediated metabolic dysregulation contributes to HOXA9-dependent leukemogenesis. J. R. Lynch et al. Abnormal metabolism is a fundamental hallmark of cancer and represents a therapeutic opportunity, yet its regulation by oncogenes remains poorly understood. Here, we uncover that JMJD1C, a jumonji C (JmjC)-containing H3K9 demethylase, is a critical regulator of aberrant metabolic processes in homeobox A9 (HOXA9)-dependent acute myeloid leukemia (AML). JMJD1C overexpression increases in vivo cell proliferation and tumorigenicity through demethylase-independent upregulation of a glycolytic and oxidative program, which sustains leukemic cell bioenergetics and contributes to an aggressive AML phenotype in vivo. Targeting JMJD1C-mediated metabolism via pharmacologic inhibition of glycolysis and oxidative phosphorylation led to ATP depletion, induced necrosis/apoptosis and decreased tumor growth in vivo in leukemias co-expressing JMJD1C and HOXA9. The anti-metabolic therapy effectively diminished AML stem/progenitor cells and reduced tumor burden in a primary AML patient-derived xenograft. Our data establish a direct link between drug responses and endogenous expression of JMJD1C and HOXA9 in human AML cell line- and patient-derived xenografts. These findings demonstrate a previously unappreciated role for JMJD1C in counteracting adverse metabolic changes and retaining the metabolic integrity during tumorigenesis, which can be exploited therapeutically. Expression of a human beta-globin transgene in erythroid cells derived from retrovirally transduced transplantable human fetal liver and cord blood cells. Transfer of therapeutic genes to human hematopoietic stem cells (HSCs) using complex vectors at clinically relevant efficiencies remains a major challenge. Recently we described a stable retroviral vector that sustains long-term expression of green fluorescent protein (GFP) and a human beta-globin gene in the erythroid progeny of transduced murine HSCs. We now report the efficient transduction of primitive human CD34(+) fetal liver or cord blood cells with this vector and expression of the beta-globin transgene in the erythroid progeny of these human cells for at least 2 months. After growth factor prestimulation and then a 2- to 3-day exposure to the virus, 35&percnt; to 55&percnt; GFP(+) progeny were seen in assays of transduced colony-forming cells, primitive erythroid precursors that generate large numbers of glycophorin A(+) cells in 3-week suspension cultures, and 6-week long-term culture-initiating cells. In immunodeficient mice injected with unselected infected cells, 5&percnt; to 15&percnt; of the human cells regenerated in the marrow (including the erythroid cells) were GFP(+) 3 and 6 weeks after transplantation. Importantly, the numbers of GFP(+) human lymphoid and either granulopoietic or erythroid cells in individual mice 6 weeks after transplantation were significantly correlated, indicative of the initial transduction of human multipotent cells with in vivo repopulating activity. 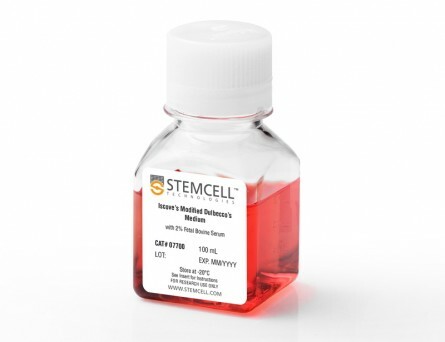 Expression of the transduced beta-globin gene in human cells obtained directly from the mice or after their differentiation into erythroid cells in vitro was demonstrated by reverse transcriptase-polymerase chain reaction using specific primers. These experiments represent a significant step toward the realization of a gene therapy approach for human beta-globin gene disorders. High levels of lymphoid expression of enhanced green fluorescent protein in nonhuman primates transplanted with cytokine-mobilized peripheral blood CD34(+) cells. Comparison of in vitro drug-sensitivity of human granulocyte-macrophage progenitors from two different origins: umbilical cord blood and bone marrow. Predictive in vitro hematotoxicity assays using human cells will provide estimation of tolerable level and aid considerably the development of agents with greater therapeutic activity and less toxicity. Human hematopoietic cells can be derived from three sources: human bone marrow by sternal or femoral aspiration, mobilized peripheral blood, or umbilical cord blood samples collected from placentas after deliveries. 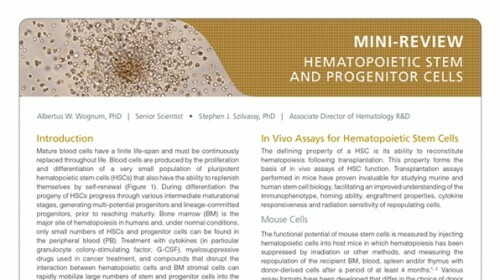 Because of the difficulties to have a continuous supply of bone marrow cells from normal human donors and the related ethical problems, we performed a study to compare the sensitivity of human bone marrow cells (h-BMC) and human cord blood cells (h-CBC) to chemicals in order to confirm if h-CBC can readily replace bone marrow cells in checking the sensitivity of GM-CFU progenitors to drugs as preliminarily reported in literature. Our results showed that the prediction of IC50 values in human model is quite similar by using h-BMC or h-CBC. On the contrary, the type of medium influenced in a significant way the ICs determination of some drugs. Acceleration of hematopoietic reconstitution with a synthetic cytokine (SC-55494) after radiation-induced bone marrow aplasia. The synthetic cytokine (Synthokine) SC-55494 is a high-affinity interleukin-3 (IL-3) receptor ligand that stimulates greater in vitro multilineage hematopoietic activity than native IL-3, while inducing no significant increase in inflammatory activity relative to native IL-3. The aim of this study was to investigate the in vivo hematopoietic response of rhesus monkeys receiving Synthokine after radiation-induced marrow aplasia. Administration schedule and dose of Synthokine were evaluated. All animals were total-body irradiated (TBI) with 700 cGy 60Co gamma radiation on day 0. Beginning on day 1, cohorts of animals (n = 5) received Synthokine subcutaneously (SC) twice daily with 25 micrograms/kg/d or 100 micrograms/kg/d for 23 days or 100 micrograms/kg/d for 14 days. Control animals (n = 9) received human serum albumin SC once daily at 15 micrograms/kg/d for 23 days. Complete blood counts were monitored for 60 days postirradiation and the durations of neutropenia (NEUT; absolute neutrophil count [ANC] textless 500/microL) and thrombocytopenia (THROM; platelet count textless 20,000/microL) were assessed. Synthokine significantly (P textless .05) reduced the duration of THROM versus the HSA-treated animals regardless of dose or protocol length. The most striking reduction was obtained in the animals receiving 100 micrograms/kg/d for 23 days (THROM = 3.5 v 12.5 days in HSA control animals). Although the duration of NEUT was not significantly altered, the depth of the nadir was significantly lessened in all animal cohorts treated with Synthokine regardless of dose versus schedule length. Bone marrow progenitor cell cultures indicated a beneficial effect of Synthokine on the recovery of granulocyte-macrophage colony-forming units that was significantly higher at day 24 post-TBI in both cohorts treated at 25 and 100 micrograms/kg/d for 23 days relative to the control animals. Plasma pharmacokinetic parameters were evaluated in both normal and irradiated animals. Pharmacokinetic analysis performed in irradiated animals after 1 week of treatment suggests an effect of repetitive Synthokine schedule and/or TBI on distribution and/or elimination of Synthokine. These data show that the Synthokine, SC55 94, administered therapeutically post-TBI, significantly enhanced platelet recovery and modulated neutrophil nadir and may be clinically useful in the treatment of the myeloablated host.